Not sanctioned PBA rides, but still a lot of fun! Rides start and ends at the Northeast corner of Legacy and Independence, near the Dunkin Donuts in Plano. Rides are held every Tuesday and Thursday morning and are followed by coffee at Einstein’s Bagel Shop where many of the world’s problems are solved by some of the most tenured and experienced minds of our local cycling community. 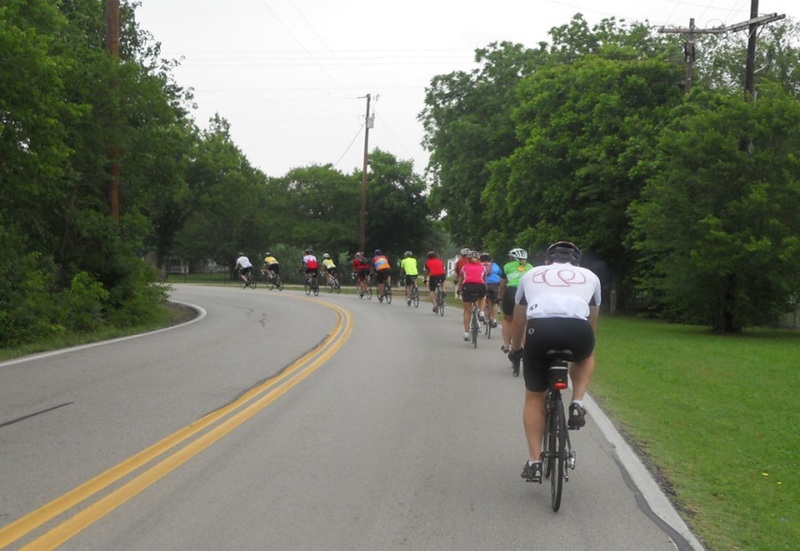 This co-ed ride is designed for experienced cyclists with the knowledge and skills of group riding. Expect to have a small cadre of big engines doing much of the work on the front (thanks!) with the rest taking a turn now and then or just hanging on for the ride. We do not ride off the front of this ride unless we are going up the road to take a nature break and we have informed the front of the pack. This ride has one rest stop. In the summer we often stop again for water. A slower/shorter version of the Rudy Ride goes on both days, called Rudy Ride Lite. Check the Rudy Ride FB page or get on the Rudy Ride Lite mailing list for start time changes during the winter, based on morning temperatures. Please read the PBA ride rules before you ride your first Caffeine Cruise.